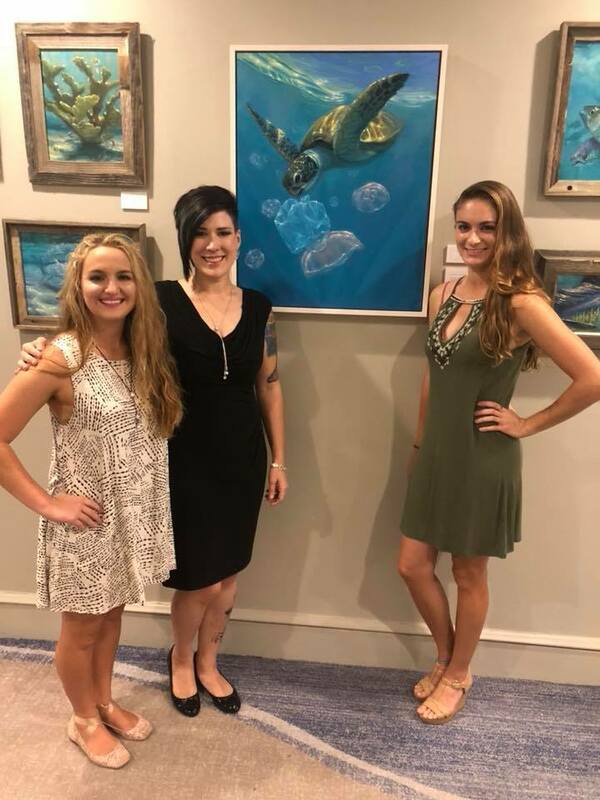 Gulf World Marine Institute is honored that Joyful Fine Art is supporting our efforts. This beautiful painting called “Unaware” is for sale and 100% of the proceeds will benefit Gulf World Marine Institute and the important work that we do each day. We hope you stop by the Sheraton to see her entire showcase. 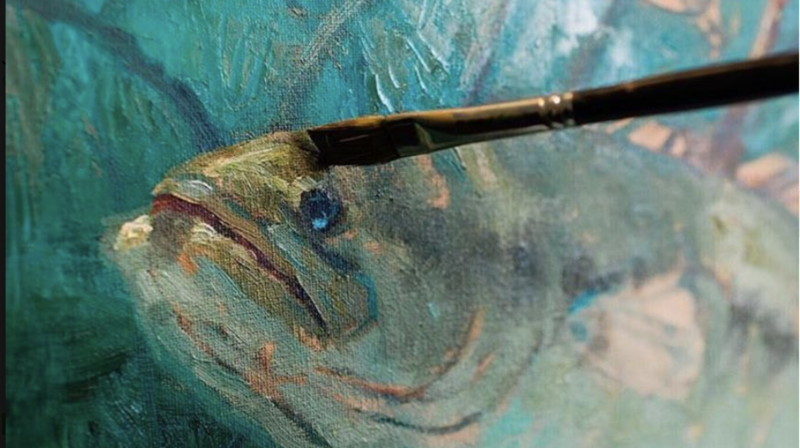 This beautiful painting called “Unaware” is for sale and 100% of the proceeds will benefit Gulf World Marine Institute and the important work that we do each day. We hope you stop by the Sheraton to see her entire showcase. : Joyful is also hosting a paint party on Tuesday, October 9th 2018 from 6:00 pm – 8:00 pm at the Sheraton Bay Point Resort. Purchase your tickets here. 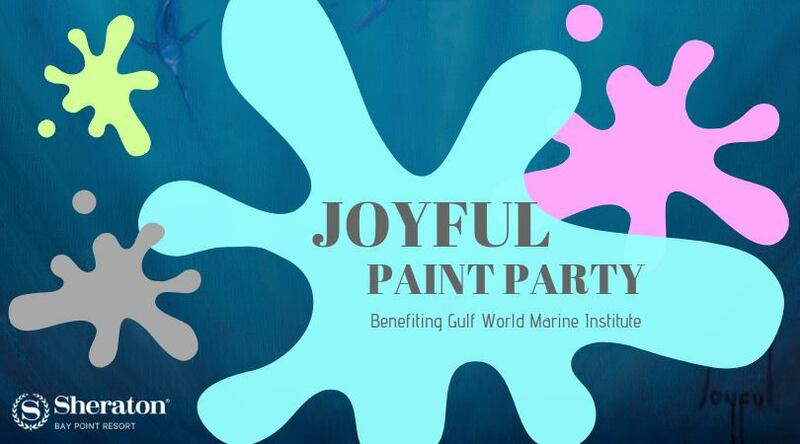 You’re invited to join us for a fun night of art and festivities with local artist Joyful Enriquez to benefit the great work of Gulf World Marine Institute This special “Joyful Paint Party” will be lead by Joyful and Helen Ballance of the Beach Art Group. Tickets include all your art supplies, 1 drink ticket and 1 raffle ticket for a beautiful metal print of Joyful’s “Unaware” piece! The good folks that lead our turtle rehabilitation efforts in the area will also be on hand to share their great work! Come join the fun!